Lucindaville: I Can Has Cheezeburger? There is a lot to worry about these days. Shootings. Government shutdowns. Mass shooting. The debt ceiling. Random shootings. And on and on. So what have we been worrying about? 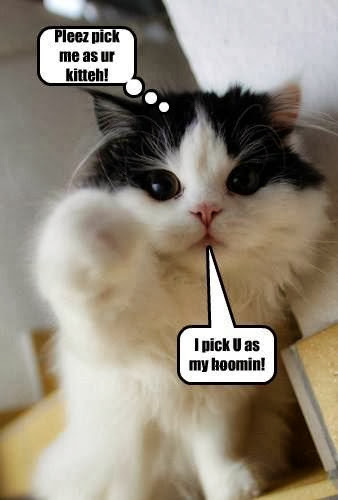 We worry that people think cats are illiterate. 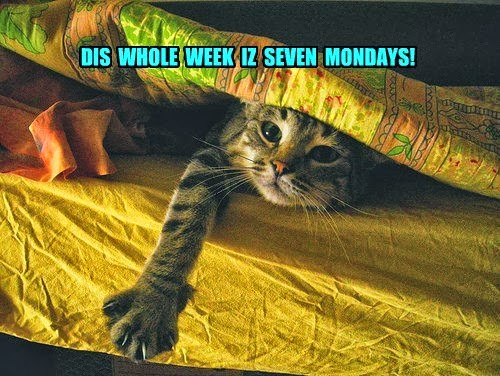 We blame it on this one gray cat. It is his fault and we are holding him personally responsible. 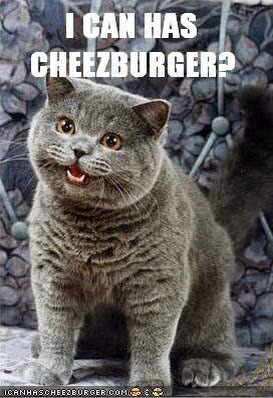 We are willing to admit that "I can has cheezeburger?" is more funny than "May I have a cheese burger, please?" But enough already. Now there seems to be a pervasive opinion that cats have some sort of patois that would make them sound illiterate with a vaguely Eastern European/Jamaican accent. We don't know about these cats, but the cats who live here watch a lot of television, especially news. We think our cats would sound more like Anderson Cooper than Vlad the Inhaler's dumber brother. They also watch an incredible amount of programming from the BBC and PBS, so if they did develop an accent, it would be British or Scottish. While he might be cute, he appears to be stupid. 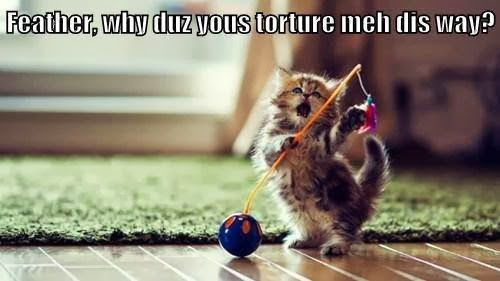 At least this kitteh kitten seems to have manners. If our cats did start talking and adding text to their photos, rest assured that would know the difference between "can" and "may." You CAN jump on the counter and eat the chicken, but you MAY not. They would be well versed in "PLEASE" and "THANK YOU." 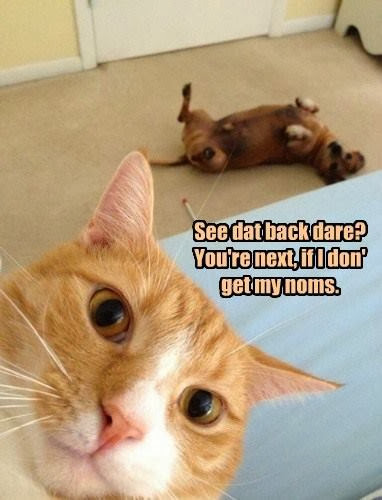 They would never use "DIS" and "DAT" unless they became jazz musicians in New Orleans or the spokescat for Zatarain's. 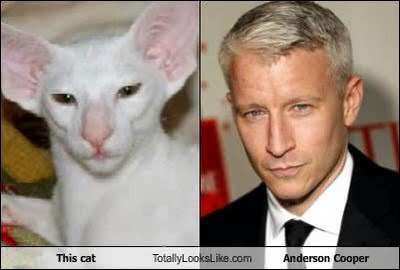 They might say, "Hey, did you see Anderson Cooper DIS that cat that looks just like him?" So please, if you love your cat, let him use spell check. Looking cute is really enough. No doubt, Chaucer is the bomb!